People often over-complicate shop design, mostly because it’s fun to kick around the shop and build things. 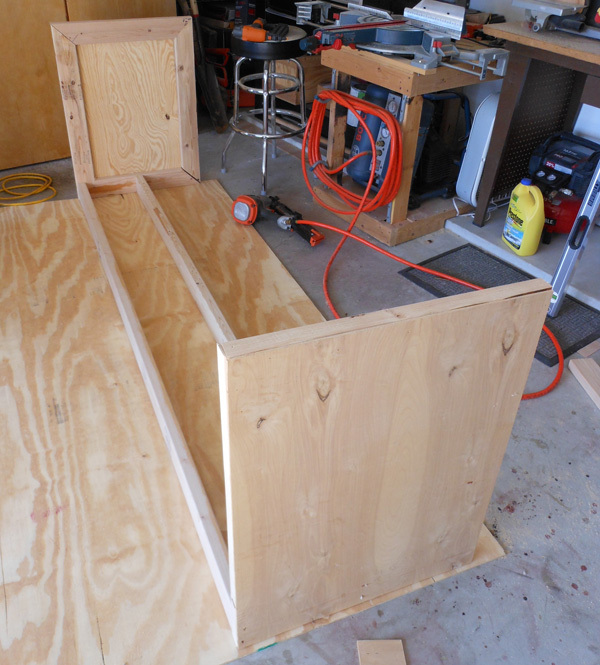 In this case, however, we needed to build an eight-foot bench with storage in a day. 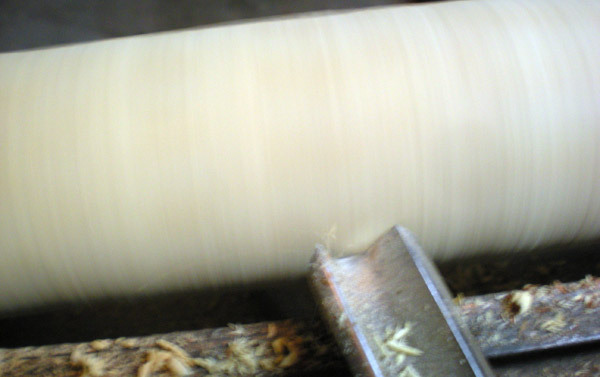 We could have gone any number of ways, but in the end speed, a few 2×4’s, and rough 3/8″ ply won out. I love framing things in with 2×4’s and ply. The stock is all cut to size, and as long as you can picture in your head what you need, plans aren’t necessary. Build a box; make it work like you want it. I start by building the sides and nailing them together with an 18ga brad nailer and wood glue. 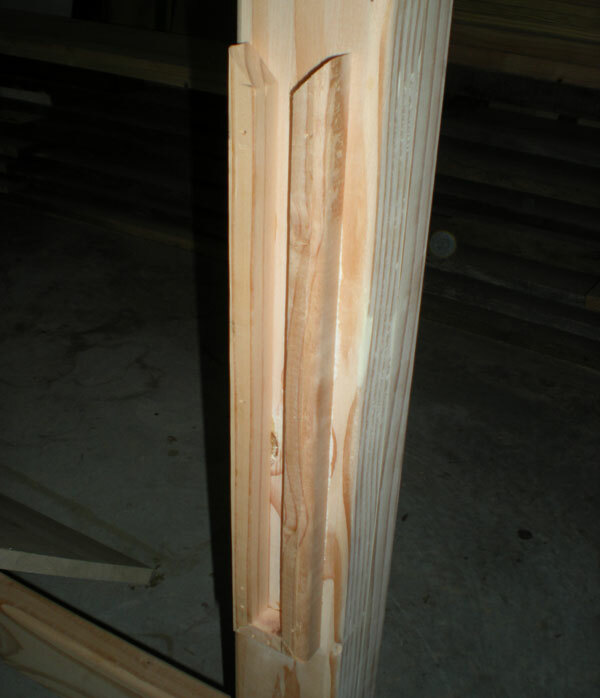 Then use the Paslode framing nailer to stab a few 3-inch steel rods into each end of some 2×4’s for the base. Broken furniture of all kinds find their way to my shop for repair on a regular basis. Some of the most common I find are tables and chairs. The more elegant they are, the more prone they seem to be to dramatic fracturing or breakage. 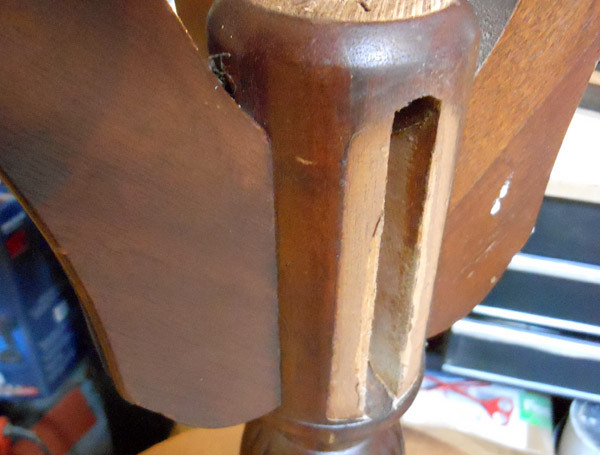 This 70-year-old pedestal table arrived a while back with a busted leg. The most obvious thing about it was that one of the legs had come off. 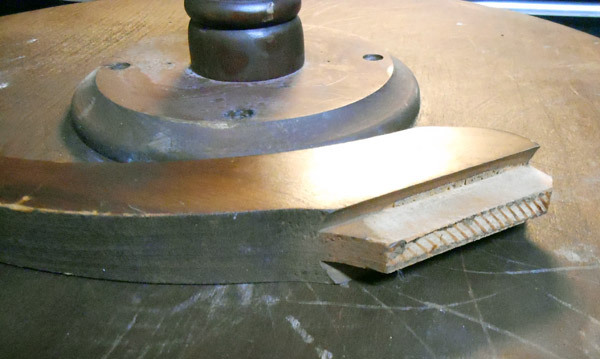 No big deal, really — a bit of careful scraper work and tad of sanding to remove the old glue would see the socket ready to mate up to its leg again. This man is a genius. Not only would I not have believed that making a PVC bow was possible; I could not have thought possible that anyone could demonstrate how that works in less than ten minutes. That’s exactly what Nick the Backyard Bowyer does. 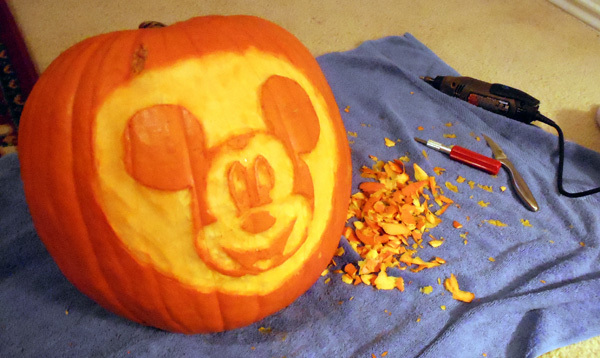 It seems pretty simple — just heat it up, flatten the limbs, and then make sure they’re straight. You could jack up and throw away ten of them before you got one right, and you’d still be only a few bucks in the hole. 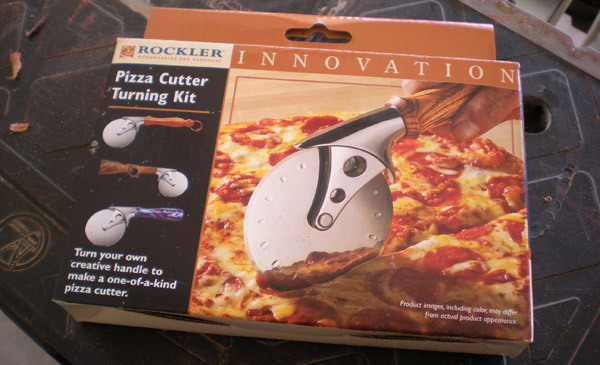 The newest addition to my list of things to do this week is stealing Chuck’s heat gun and trying this out after building a flattening jig. Props to you Nick, and well done! It’s projects and thinking like this that make DIY possible and affordable. 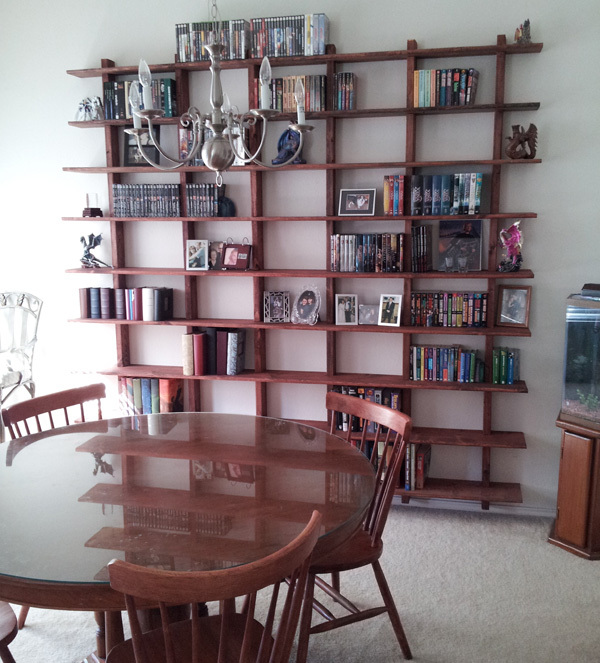 We love the end product and how you managed to keep everything easy to build. 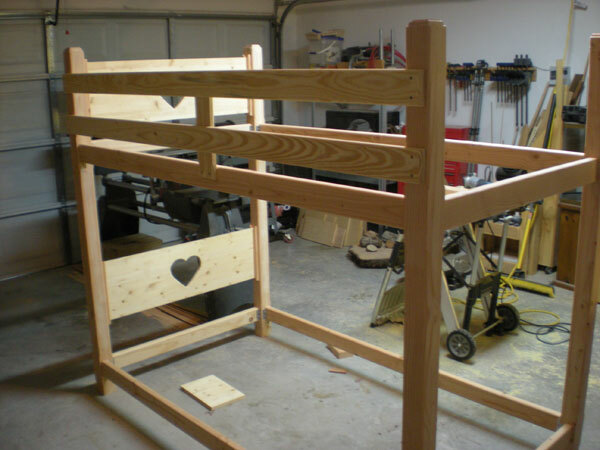 The road to bunkbed build completion was actually pretty quick on the carpentry side of things. Getting to this final stage of awesome completion did take a little in the way of staining, though. Okay, a load in the way of staining. But more of that later. Retaining trim was added to receive the head and footboards. Since this wouldn’t be a structural piece, just gluing them in and popping a few brads home did nicely. 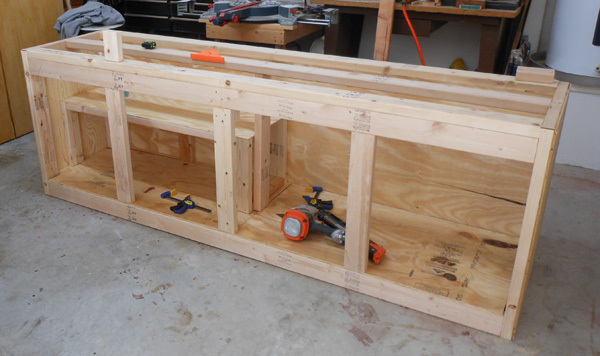 With the slots in place for the boards, the rest of the build happened in a matter of a few hours of work. 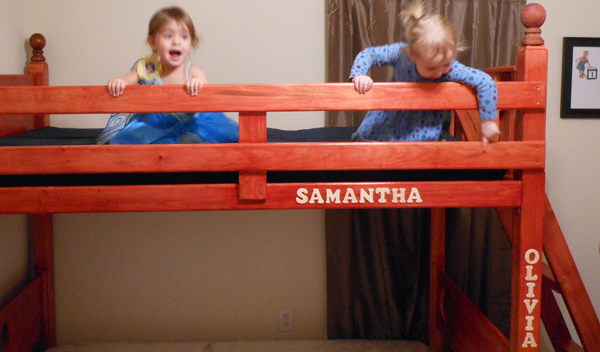 The headboards were driven home and a roll guard was added to the front of the top bunk so restless little ones don’t face plant from a 5-foot drop. 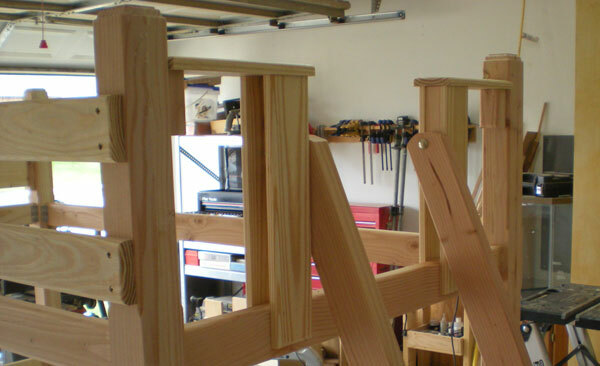 The ladder assembly was a simple one that allows the climber to get on the bunk at the lowest point possible by making the ladder part of the foot board. Bigass carriage bolts held the ladder rails in place. Slats were cut from a pile of white oak that had been left outside for a while and, due to cracking, wasn’t really great as full plank material anymore. 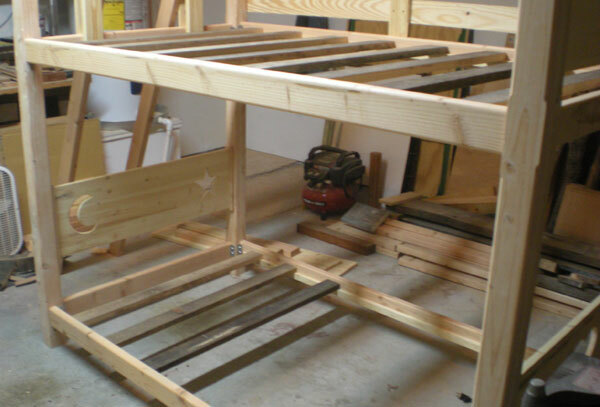 It was, however, perfect for the 16 slats of 3″ x 1″ material needed to hold the mattresses. The slats were later planed, routed, sanded, and sealed. This wasn’t a quick process, but anything times 16 tends to be a while. Next the hell that is finishing time arrived. I won’t bore you with details, but this process takes longer than most anybody who hasn’t done it will ever recognize. 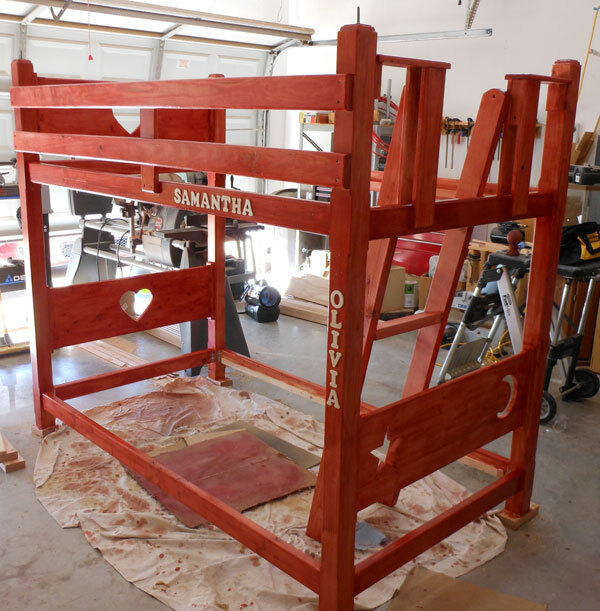 Five coats of tinted shellac went on to make a nice, lively, and warm red color that managed to hide the fact that four different types and shades of wood were used. It sucked, but turned out nice in the end. Final install was of course a happy time for all concerned (except when they were made to hold still for pictures) and much little girl screaming could be heard among the climbing and shuffling of little feet. When you have a hobby or a really cool toy you often find reasons to display its awesomeness, much like the guy with the fifty-thousand dollar pickup who begs to haul a few hundred pounds of stone when you’ve already loaded half of it into your sub-compact truck. In my case, it’s building furniture. I will build almost any wood furniture at the drop of a hat because my house is now so full of it that my other half can’t find places to put more. So when a friend recently had to downgrade and give up most of her furniture, I was presented with the opportunity to build a set of bunkbeds. Of course, I took the gig. The budget was under $100 and the design was pretty open. 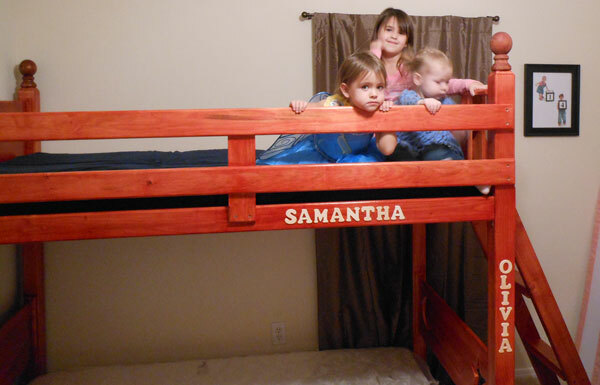 The two girls and their mother were all sleeping in the same bed and space was tight, so standard child mattresses sized at 75″x39″ were the order of the day. I had the size and the budget but design and materials were a little fuzzy. A trip to the local big box in conjunction with a tour of the junk pile at my parents’ place and what I had lying around the shop meant I could hit the budget, but it would be close. At least half would be hardware, which left about $50 for wood. That landed me square into 2×4 territory for timber. Wood is a curious medium. Some objects built from it don’t wind up lasting a long time, while others endure through the ages. Mostly it’s a revolving crap shoot of conditions, abuse, and maintenance. 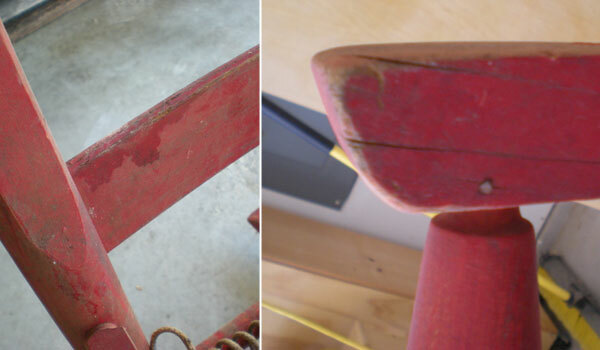 And sometimes it all comes together, and you get a chair like this one that is well over 70 years old. 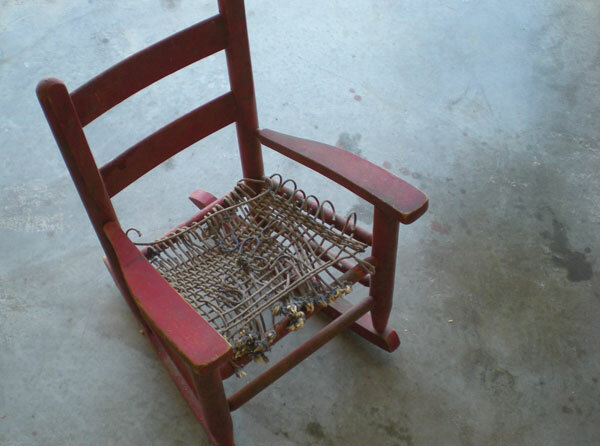 This child’s rocking chair has served four generations of my wife’s family and 19 children have called it their own. It was constructed by her great grandfather from a set of plans he sent away for and then built himself, mostly from solid oak. And it has seen better days.